BodyCraft makes a very limited array of equipment. Their F430 power rack is one of their pieces of equipment that has been around for several years. This is a collection of the best reviews I found around the web for this rack. Some “reviews” are just articles listing the features, written by people who have never seen the rack in person. 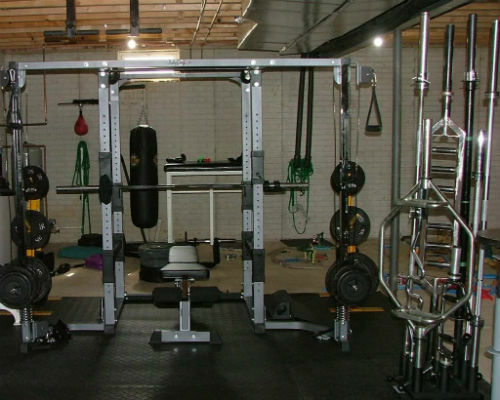 The below are the best ones I found where the people owned and took pictures of their assembled rack in their own workout area. First, Amazon has a bunch of reviews on the F430 rack by verified buyers (who are writing the review under the same account they bought it under on Amazon). See all of Amazon’s user reviews on this rack. That is my Bodycraft F430 with the crossover attachment and the F320 bench. Its a great setup that would suffice for pretty much anybody, but its not really got the “cool” factor as some of the more recent commercial or close to commercial grade racks that have been highlighted. I have always been extremely happy with the setup because by itself the rack is fantastic, but once I added the CO, it was almost as stable as the commercial racks I’ve seen in person. The BodyCraft F430 is available on Amazon. Did this not cover everything? Leave a comment below with your questions/thoughts!